So basically what was the last film you watched (cinema, DVD, TV) and your rating? I would give it a 6/10 mainly because of Javier Bardem's portrayal of the villain. If there is nothing else on the TV then I would watch it but I wouldn't go out of my way to watch it. Thought it was quite good, also didn't realise that Denzel was in the opening scene. Bit of a bump here. Girl with the Dragon tattoo. Watched it on TV, where they cut it to bits. Recently purchased and watched a low budget UK film titled 71. It is about an English squaddie who gets isolated whilst on patrol in a major Republican area of Belfast (Divis flats) at some point in 1971. It is ultimately an historical chase thriller that is utterly absorbing. You watch the young recruit from Derby reel from one problem to another as he tries to survive the night and ultimately 'get home', not knowing where he is or who he can trust. The director deliberately chose the more ambiguous 71 period that occurred before the events of Bloody Sunday and a more defined sense of the 'Troubles'. The film has certainly done its research and covers areas such as the initial lack of a defining role on the part of the British military, their bemused relationship on the ground with the RUC, the internecine power struggle within the IRA between the Originals and the Provisionals and also the undoubted dubious connections between elements of the Crown forces and Loyalist paramilitaries. It also deals well with the ordinary people that were caught in the middle ground of an escalating conflict and the problems that manifested for them. I'm ex-military myself, an historian and married to a woman whose parents were on the civil rights march in Derry that ultimately became infamous as Bloody Sunday....so this film would naturally scratch a proverbial itch with me. That said, to my mind this is worth watching if you just enjoy an almost claustrophobic chase thriller that really creates an atmosphere and knows its stuff. I wonder if I would enjoy this, as I am still a fairly staunch Prod and wince inside when I see people misnaming "That" place. Nightcrawler with Jake Gylenhall. ..excellent! Everything I see about it makes me want to watch it. Last one I watched - Paul Blart Mall Cop, quite a funny film, light-hearted stuff. He does an excellent job of coming across as a believable creep!. You like him, but you don't. I love Sci-Fi, and often there tends to be some quite dire options for it. I've watched pretty much all the well known oldies and recent ones. Most new releases tend to be a bit naff. 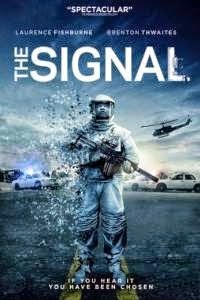 This is quite different and if you like Science Fiction then it is worth a watch. Down the Lines of 'Saw' and 'Cube' 1998, when we know as much as the characters, which makes you take an interest.